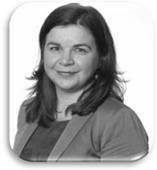 Gabriela Airini is the Programme Director for the Accounting Technician Apprenticeship. Over the past 15 years she has worked in both higher and further education in Failte Ireland, Hibernia College and Dublin Business School. She has a Masters in Education from Trinity College.